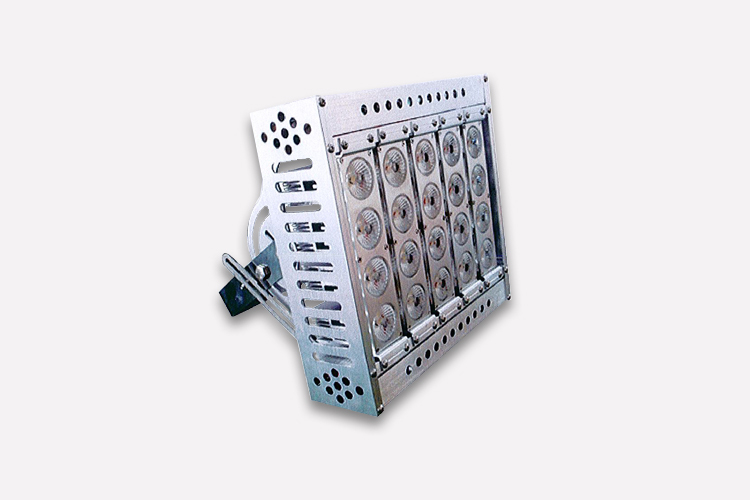 A high powered LED energy saving 150watt floodlight. A 150watt LED floodlight for outdoor use on stadiums, gas & power stations, bridges, airfields and ports. A very innovative and recently improved LED lighting product. It offers a 10, 25, 40, 60 and 90 degree premium precise optical lens angle system and anti-glare, therefore making it suitable for any occasion.